Jetmaster’s highly efficient wood burning inset stove, featuring a clean line design and a beautiful flame picture. 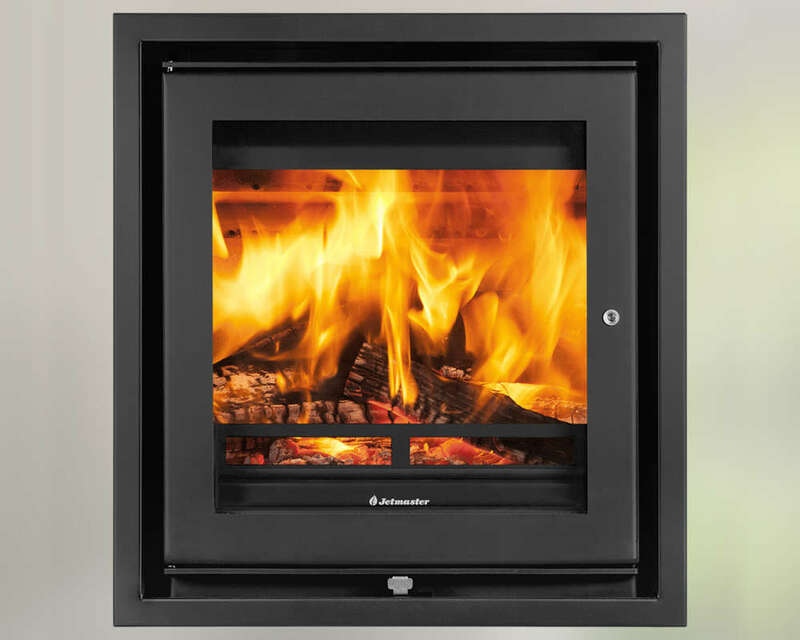 The Jetmaster 50i Inset Stove has a large ceramic window that provides a superb view of the fire, A curtain of preheated forced air between the fuel bed and the window ensures that the view stays clear of soot deposits on the window. Jetmaster Inset Stoves are up to 85% efficient giving you the very most out of every ounce of fuel burnt in the stove. Factory set tertiary combustion air settings initiate secondary combustion to burn off excess carbon particulates and gases that normally escape up the flue, ensuring the highest performance possible at all times. The Convection Chamber transfers heat even to the corners of the room. I would like the price of this appliance. I would like this appliance but larger. I would like this appliance but smaller. I would like a similar style appliance. I would like this appliance fitted can I be contacted for information. I have further questions on this appliance.